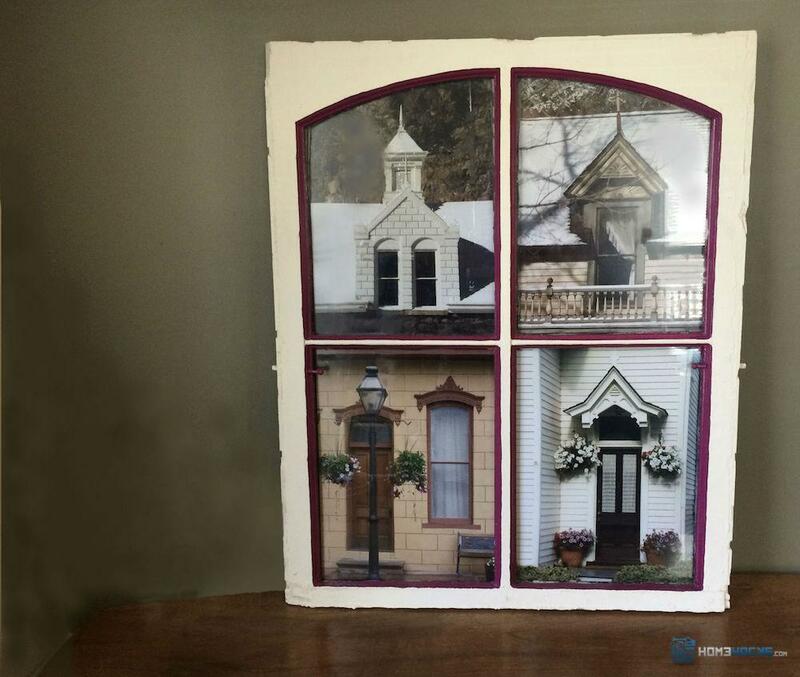 Spruce up an old window frame and turn it into art. Discarded windows are great finds at flea markets, yard sales and thrift stores. Photographer Ruth Rosenfeld of Georgetown, Colorado took this curved Victorian window and used it to frame four of her own photographs of doorways and windows from around town. From one pane to multiple paned windows, the creative possibilities are endless. You will need an old window frame, photograph/s, paint (if you plan on painting your frame) and wood or cardboard. Choose a favorite photograph and have it printed to the size of your window pane. Slide the photograph into window, then apply glue to edges of your wood/cardboard cut-out and attach to frame behind photograph to hold into place.